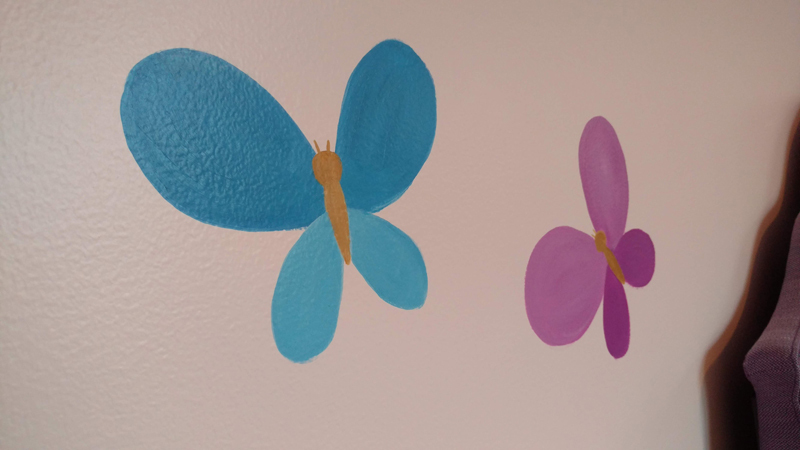 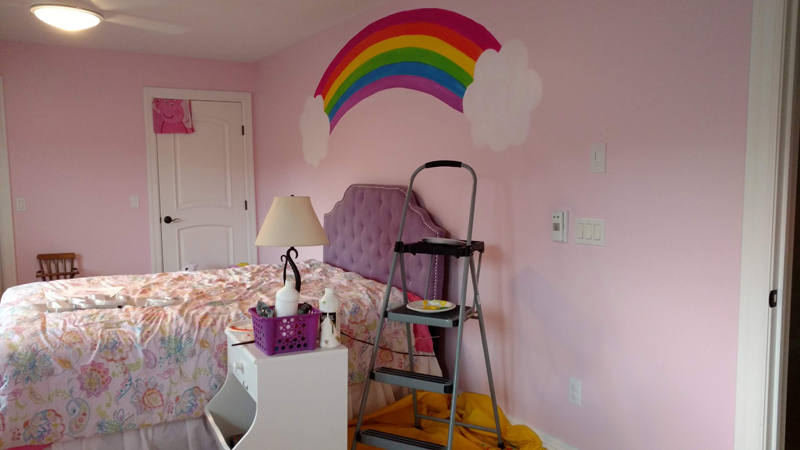 In July of 2018, I was commissioned to create a mural for a four-year-old girl’s bedroom. 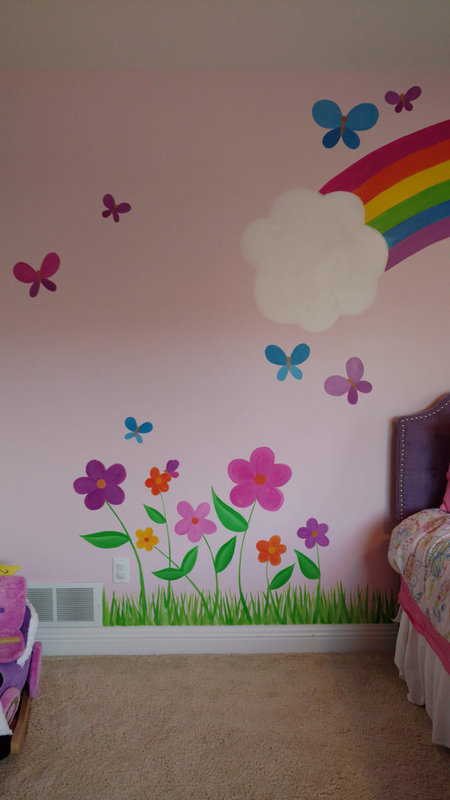 She loved rainbows, butterflies, and flowers, and the colors pink, purple, and blue. 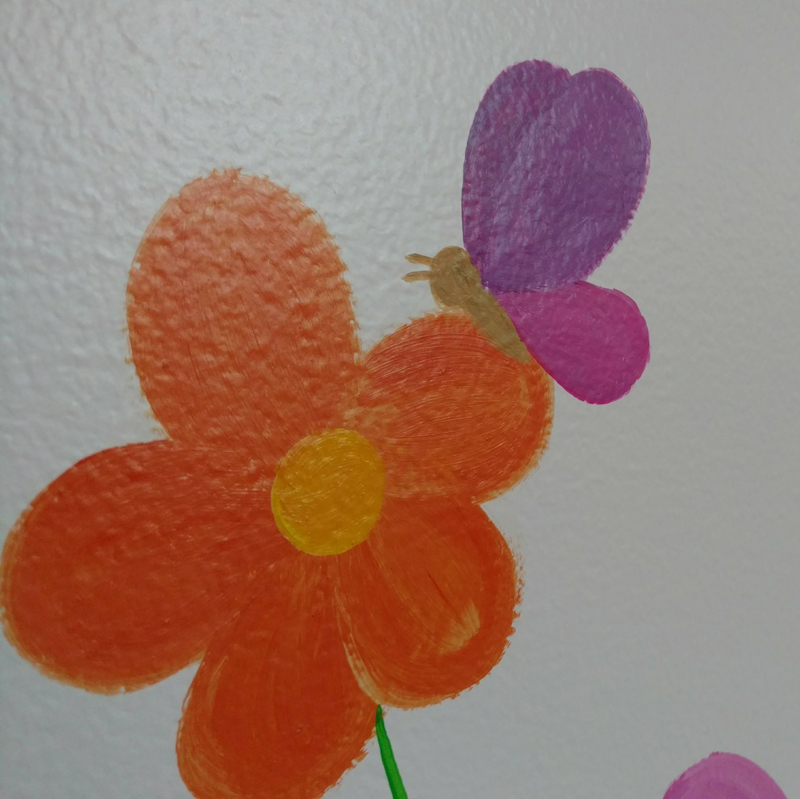 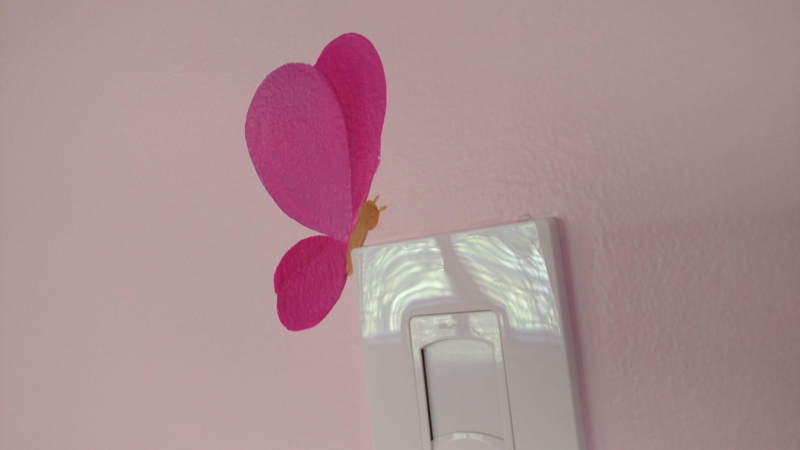 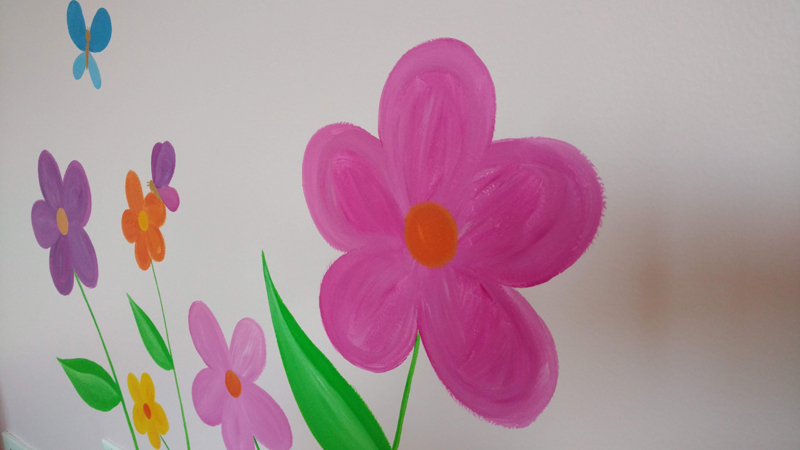 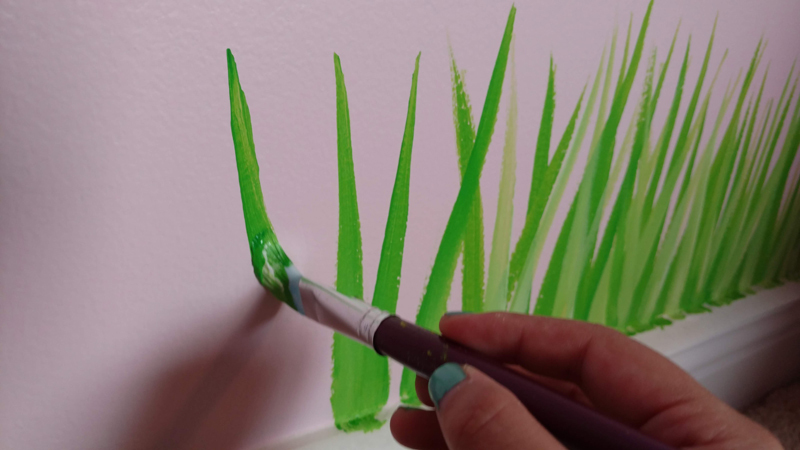 The wall was already painted a light pink, which was a fun and different background color than my usual. 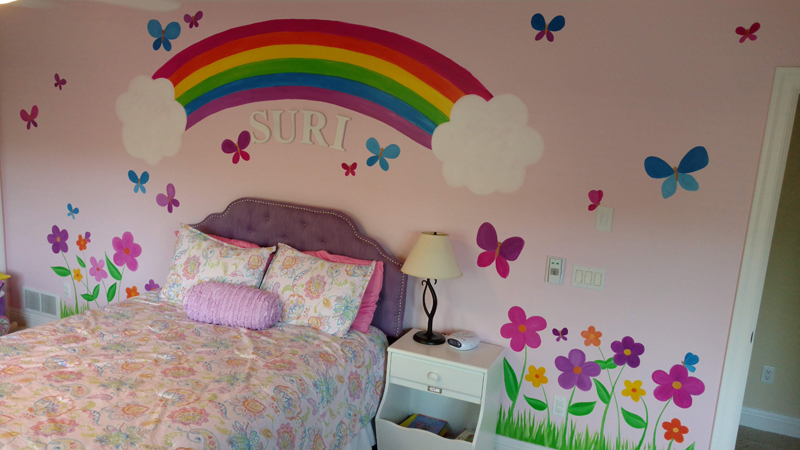 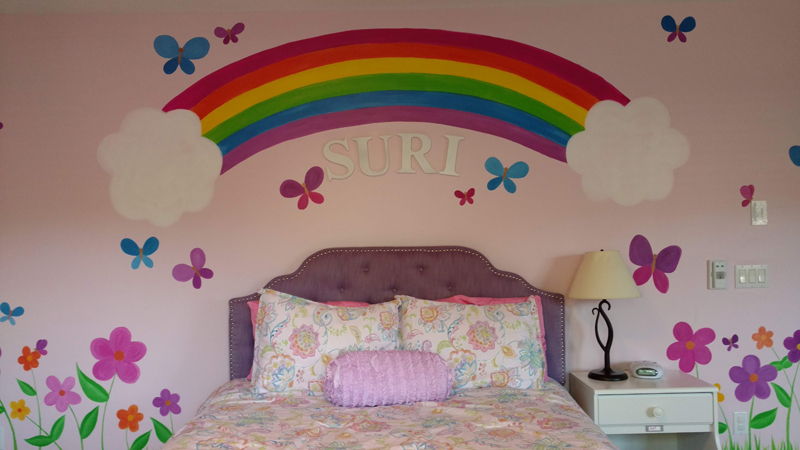 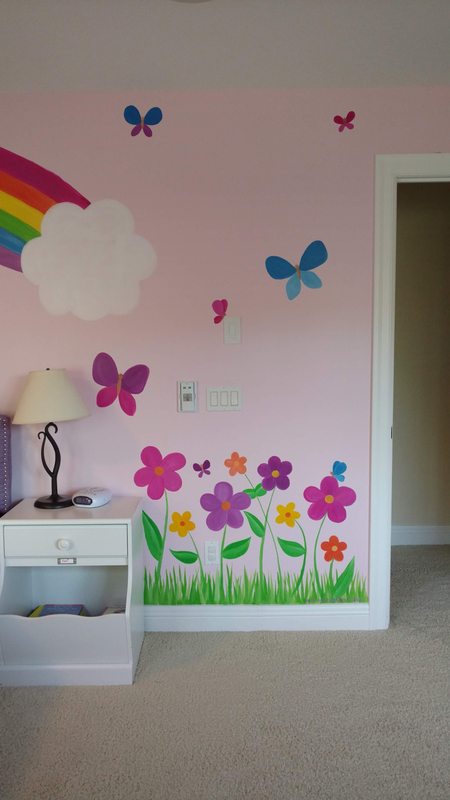 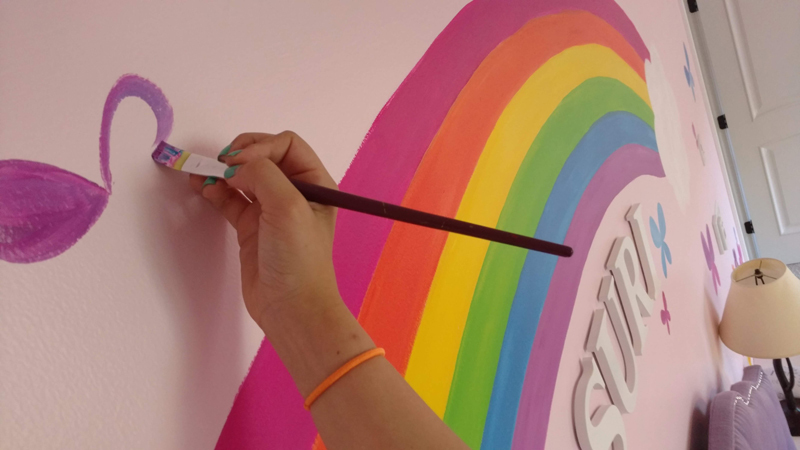 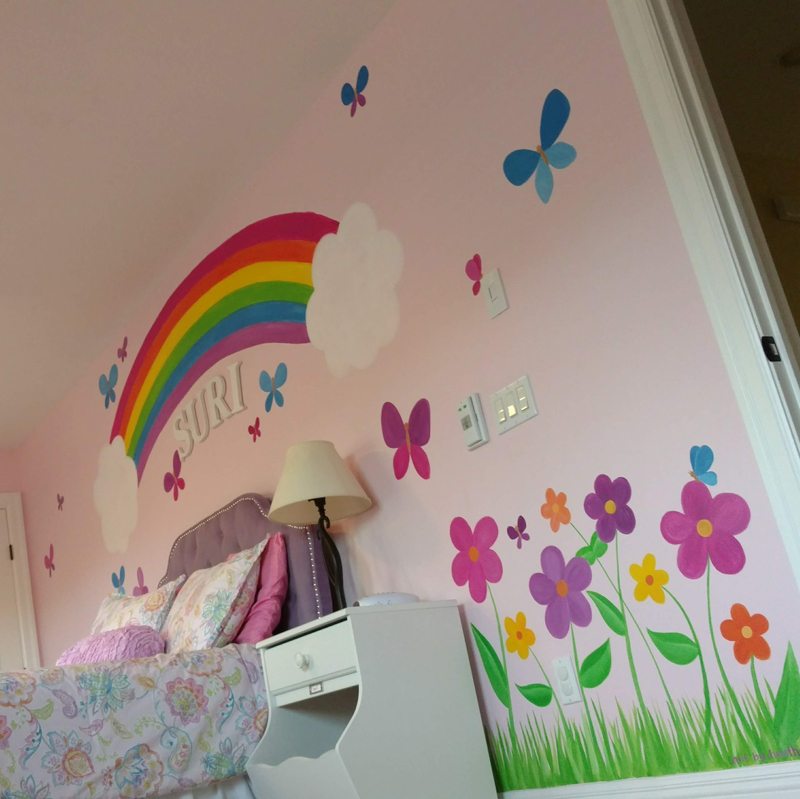 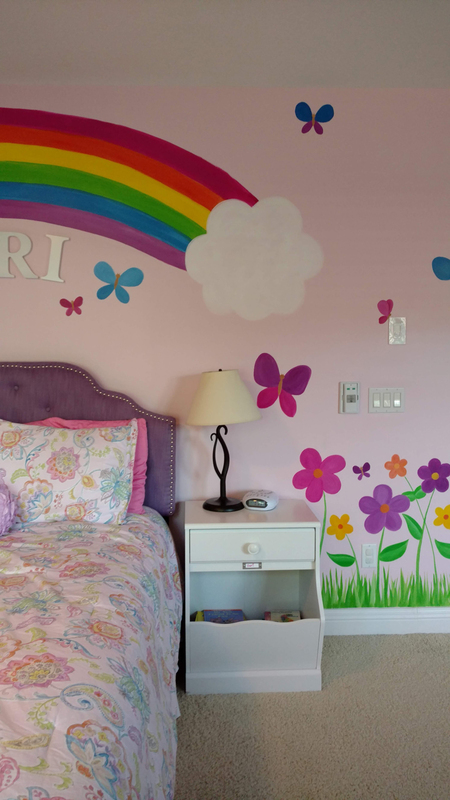 They had the letters of her name – Suri – that they had been wanting to hang up on the wall, so I designed the mural so that those could be included under the rainbow. 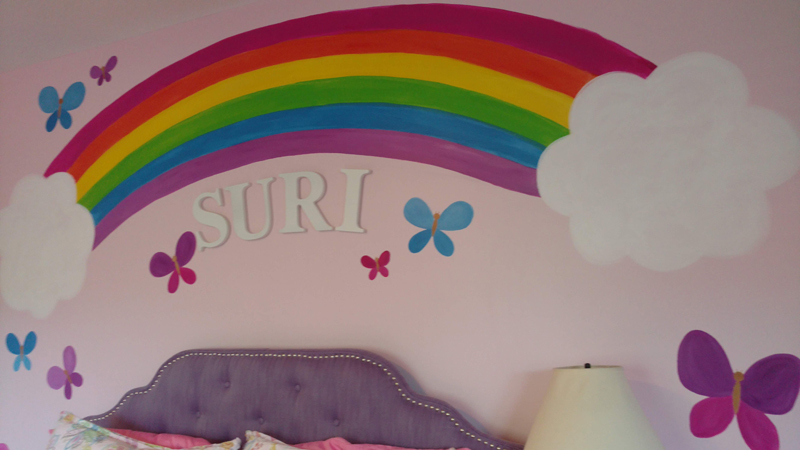 The white letters coordinated well with the white clouds on either side of the rainbow. 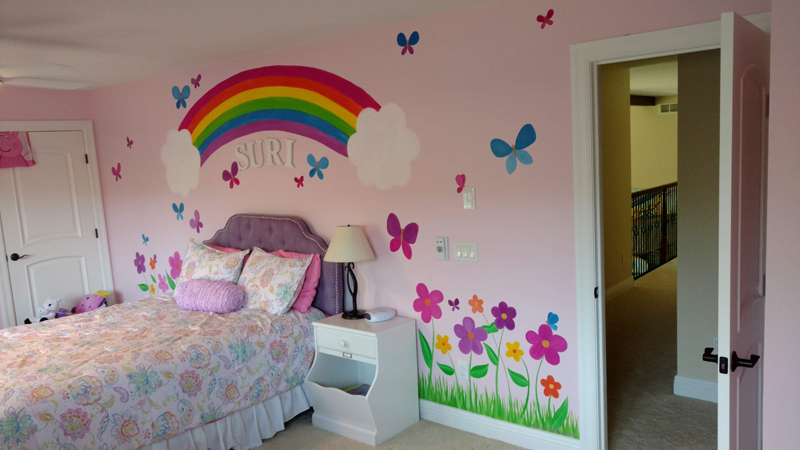 I loved adding the butterflies, and I didn’t even realize how many I had added until I stepped back and realized that I basically made it rain butterflies! 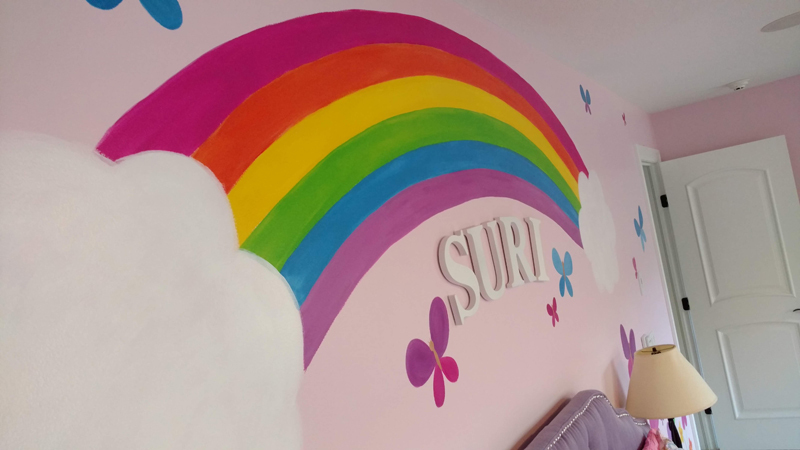 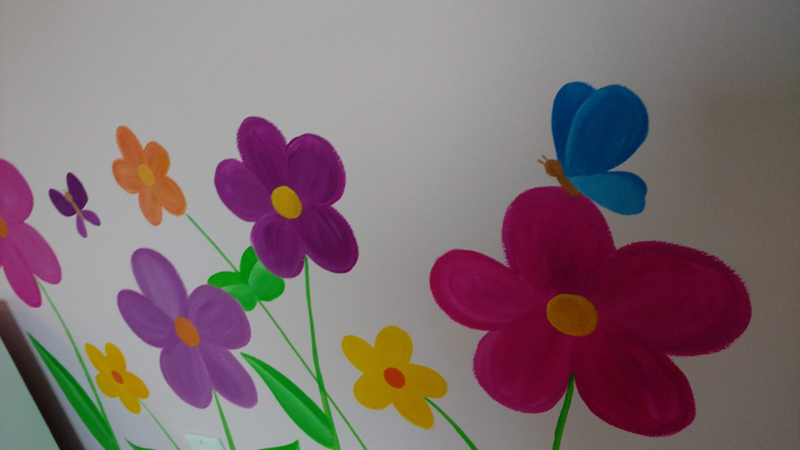 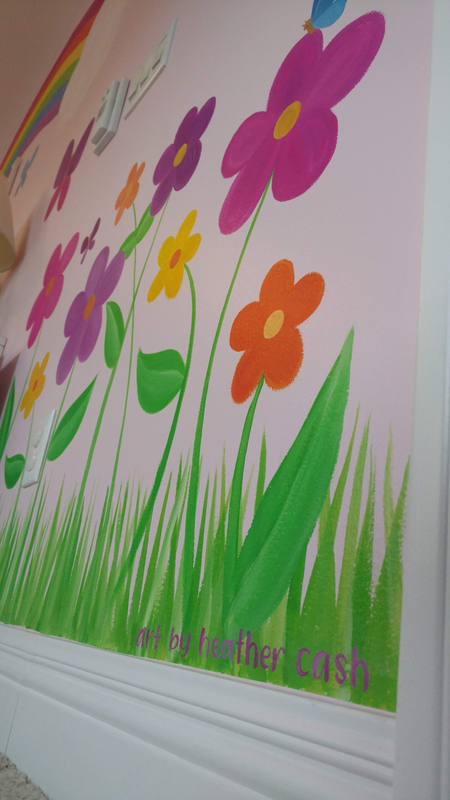 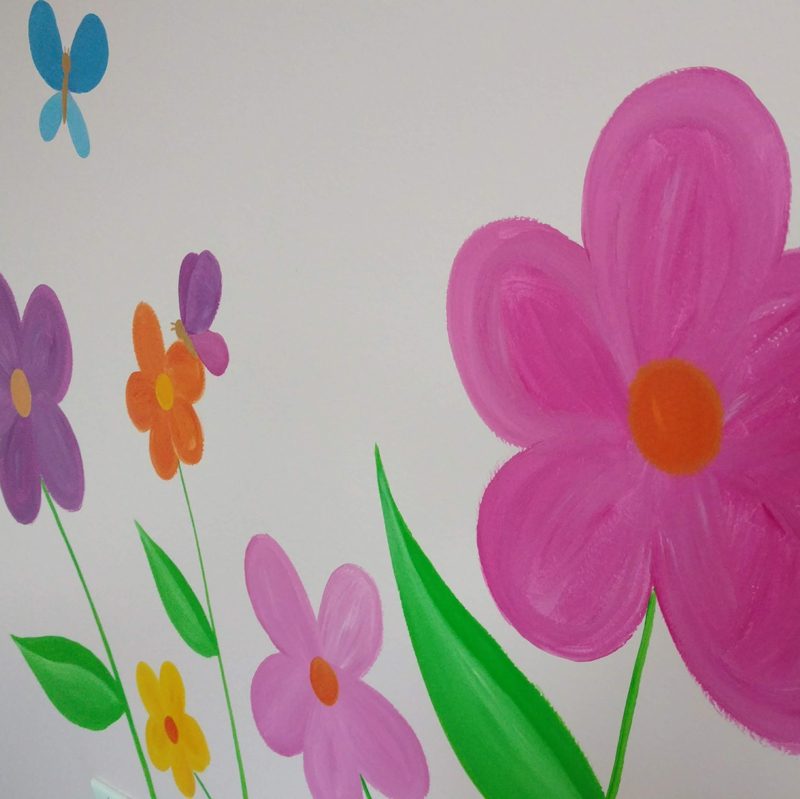 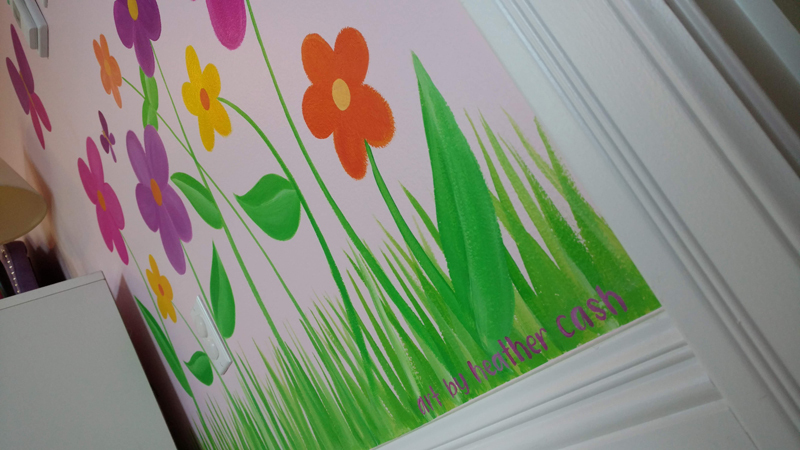 It turned out great though – the mural really brought the room to life and the family was very happy with it!